End cut of NWA 3160. Classification: Achondrite (lunar, mare basalt breccia). Constraints from in situ microprobe results. (2007) Compositional analysis of the very-low-Ti mare basalt component of NWA 773 and comparison with low-Ti basalts, LAP 03632 & 02436 (abstract). a high-FeO/(FeO+MgO) silicate liquid on the Moon (abstract). (2007) Petrography, geochemistry, and pairing relationships of basaltic lunar meteorite stones NWA 773, NWA 2700, NWA 2727, NWA 2977, and NWA 3160 (abstract). igneous liquid in lunar meteorite NWA 773 (abstract). NWA 773 clan of lunar meteorites (abstract). 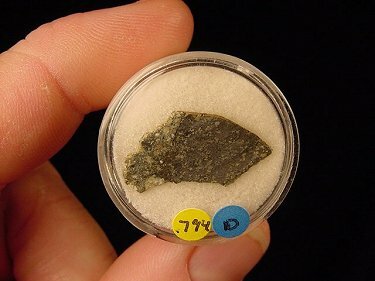 on the Moon preserved in lunar meteorite Northwest Africa 773 (abstract). (2006) Pairing relationships among Northwest African basaltic lunar meteorites based on compositional and petrographic characteristics (abstract). (2006) Pairing and petrogenetic relationships among basaltic lunar meteorites from northwest Africa (abstract). 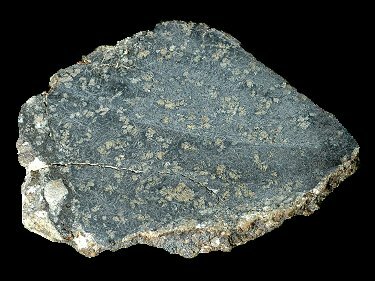 lunar igneous rock, Northwest Africa 773 (abstract). Chemie der Erde 65, 297-346. 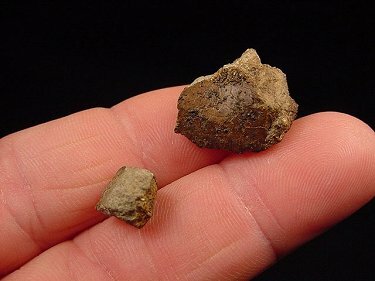 Two fragments of the NWA 3160 Meteorite. 794mg slice of NWA 3160.